Primarily known as the fiery alto saxophonist in bassist Moppa Elliott's self-described terrorist be-bop band, Mostly Other People Do The Killing, Jon Irabagon premiers his quintet Outright!, on their debut of the same name. An ear opening journey through the past and future of jazz, Outright! reveals Irabagon as a viable session leader. 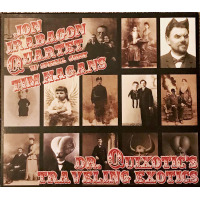 Joined by a stellar cast including Russ Johnson (trumpet), Kris Davis (piano, organ), Eivind Opsvik (bass) Jeff Davis (drums) and many special guests, Irabagon and company plum the depths of numerous traditions with a sweeping aesthetic that spans traditional Dixieland to glitchy electronica. Jumping from genre to genre, Irabagon presents his stylistic excursions at face value, making little attempt to hide the varied sources of his inspiration. Bold, but uneven, his intentions are admirable. With his ear to the future, Irabagon invites programmer Chris Cash into the mix on "Quorum Call." Gradually dominated by Cash's spiky bleeps and frenzied drum machine bursts, the quintet unfurls a dark, menacing backdrop for his arsenal of sci-fi EFX, which invokes the fractious breakbeats of Squarepusher and Aphex Twin. Equally modern, "That Was Then" undergoes a dramatic transformation, segueing from Opsvik's melodious extended bass solo to a solemn organ riff that heralds the appearance of electric guitarist Jesse Lewis. Joined by the honeyed vocalese of The Outright! Mixed Choir, the quintet provides a simmering undercurrent for Lewis' searing arpeggios. Looking to the past, the "Outright! Theme" features the Original Outright! Jass Band, a 31 piece big band that slowly deconstructs a New Orleans style theme into an overlong cacophonous assault, with welcome respite provided by Kris Davis' brief abstract stride cadenza. Moving forward along the historical timeline, the quintet interprets Dizzy Gillespie's bop classic "Groovin' High," vigorously updating it with rapid metric modulation and pithy excursions into outside territory. 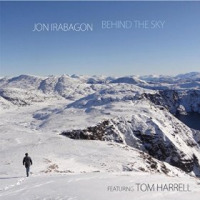 Irabagon's most personal and compelling writing, "Anchors (By Design)," "Charles Barkley" and "Oddjob" reveal his talents for contrapuntal harmony, taut arrangements and shifting cross rhythms. Myriad changes in mood, color and tempo dominate these enthralling pieces, which showcase the quintet at the top of their game. The propulsive, hard-bop influenced "Anchors (By Design)" is gracefully introduced with soulful synchronicity by the dovetailing a cappella horns of Irabagon and Johnson. Blistering tempo changes, stunning rhythm section interaction and vigorous solos from Johnson and Irabagon find the group playing by the seat of their pants on the schizophrenically intense "Charles Barkley." The high wire theatrics continue on "Oddjob" as Irabagon opens the piece with a series of melodious multiphonic variations before the band kicks into high gear with a thorny hard-bop riff. Davis' knotty, meandering piano solo swings against the quicksilver rhythm section, adding a layer of viscous contrast. Wildly diverse, Outright! stands alongside the work of bassist Moppa Elliot and trumpeter Peter Evans as a sly, but highly accomplished take on the tradition. Track Listing: Anchors (By Design); Quorum Call; Groovin' High; That Was Then; Outright! Theme; Charles Barkley; Oddjob. 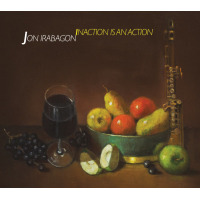 Personnel: Jon Irabagon: alto saxophone, vocals (4); Russ Johnson: trumpet, vocals (4); Kris Davis: piano, organ, vocals (4); Eivind Opsvik: acoustic bass, vocals (4); Jeff Davis: drums, vocals (4); Chris Cash: Programming (2); Jesse Lewis: guitar (4); C.J. Camerieri: trumpet (5); Kirk Knuffke: trumpet (5); Justin Ray: trumpet (5); Nathan Warner: trumpet (5); Jason Gillenwater: clarinet (5), vocals (4); Peter Van Huffel: soprano saxophone (5); Andrew Neff: alto saxophone (5); Loren Stillman: alto saxophone (5), vocals (4); Steve Frieder: tenor saxophone (5), vocals (4); Bryan Murray: tenor saxophone (5), vocals (4); Jason Rigby: tenor saxophone (5), vocals (4); Samir Zarif: tenor saxophone (5); Carl Maraghi: baritone saxophone (5); Tim Vaughn: trombone (5); John Yao: trombone (5); Max Seigel: bass trombone (5), vocals (4); Jack Broad: electric guitar (5), vocals (4); Scott DuBois: electric guitar (5), vocals (4); Jesse Lewis: electric guitar (5); Terry McManus: electric guitar (5); Rich Miletic: acoustic guitar (5), vocals (4); Alex Smith: organ (5); Michael Bates: acoustic bass (5), Moppa Elliott: acoustic bass (5), vocals (4); Matt Grason: electric bass (5), vocals (4); Linda Oh: electric bass (5), vocals (4). 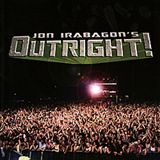 Jon Irabagon's Outright! 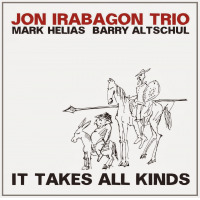 CD/LP/Track Review Jon Irabagon Troy Collins Innova Recordings United States Outright!